Circuit of The Americas maintains accessible seating in various sections and at various prices, as well as accessible shuttles, restrooms and parking. For complete information regarding ADA accessibility, please visit the ADA Accessibility Page. Animals, except for documented service animals assisting guests with disabilities, are not permitted. There are multiple ATMs located around COTA. • Grand Plaza: 1 outside the Box Office, 1 by the Turn 18/Turn 19 hillside and at least 1 located by the Turn 15 Grandstand. • Paddock: 1 inside the Media Center near the café. Comfortable clothing and shoes are recommended both for safety and general event enjoyment. Baby changing tables are available in our community restrooms located within the Main Grandstand and Grand Plaza. All bags, purses and backpacks must not exceed 12x12x20 inches, and are subject to screening by security personnel. Guests entering the venue should prepare accordingly to ease entry. At races: Cameras with detachable lenses and point-and-shoot cameras will be allowed. Any stabilizing equipment, including but not limited to, bipods and tripods will not be allowed. At concerts: Camera policy is determined on a by-show basis. Please keep an eye on Austin360 Amphitheater's social media channels and website close to the show date for information regarding the show you're attending. Weapons of any kind, including but not limited to guns, knives, pepper spray, handcuffs and nightsticks are prohibited. Seton Ascension First Aid locations will be available within our venue during all events. Permanent First Aid stations are located in the Grand Plaza and in the Paddock at the Medical Center. Please reference a particular event's map for additional first aid locations, or visit a Guest Services Tent while at the venue for further information. Gate times will vary depending upon the event. Please reference the event page on our website, or the COTA App, for up-to-date information. Management reserves the right, in its sole discretion and without refund of any portion of the ticket price, to refuse admission to or eject any person(s) whose conduct is deemed inappropriate or detrimental to the enjoyment or safety of others. Guest Services locations will exist throughout the venue for all motorsport and concert events. Please reference a particular event's map for Guest Services locations. If you have any inquiries prior to the event, please contact us at 512.301.6600 during our regular business hours, M-F from 8:30AM - 5:30PM. Please visit our hotel booking page to take advantage of our complimentary service to book a hotel during our events at a special rate. If an item is lost during an event, please contact the nearest COTA Staff member for assistance. On non-event days, please call 512.655.6220 for lost item information. If you find a lost item, please turn it in to any of our Guest Services locations throughout the venue. Items recovered will be held for 30 days, with unclaimed items donated to charity. If you believe your child to be lost during an event, contact the nearest staff member who can direct you to a Guest Services location. All lost children will be taken to a Guest Services location for safety. For safety reasons, Circuit of The Americas is unable to make venue-wide announcements for lost children or guests. If you require assistance at any point while at our venue, please notify the nearest staff member. If you do not see any staff nearby, send us a text to 69050 with "COTA" followed by your request or question. If it's a location-based inquiry, please include your location. For concerts at Austin360 Amphitheater, please be aware signage larger than a standard 8 1/2" x 11" paper is typically prohibited. Please keep an eye on Austin360 Amphitheater's social media channels close to the show date for information regarding the show you're attending. Note: sealed, individual, plastic bottles of water are allowed, one per person. Complimentary water refill stations are located throughout the Circuit. Exceptions may be made for guests with dietary restrictions. Lawn chairs with legs higher than 6"
Re-entry is permitted during motorsport events. We ask that guests who leave the venue and plan on coming back scan their tickets at the gates prior to exiting. Guests will be subject to another screening by security personnel upon re-entering. Re-entry at Austin360 Amphitheater concerts (separate from races) is not permitted. Restrooms are located around the Circuit grounds. Permanent restrooms are located in the Grand Plaza, Austin360 Amphitheater bowl, Main Grandstand and at Turn 1. Look for signage to direct you to the nearest restroom. All bags, purses, backpacks and persons are subject to screening by security personnel. Fans entering the venue should prepare accordingly. Ticketholders should be aware that there are no provisions for returning banned items to them when such items are left at the venue entrances. Patrons are encouraged to leave all banned items at home or in their vehicles before entering the venue. Individuals who deliberately attempt to bring banned items through security checkpoints are subject to removal from the facility. 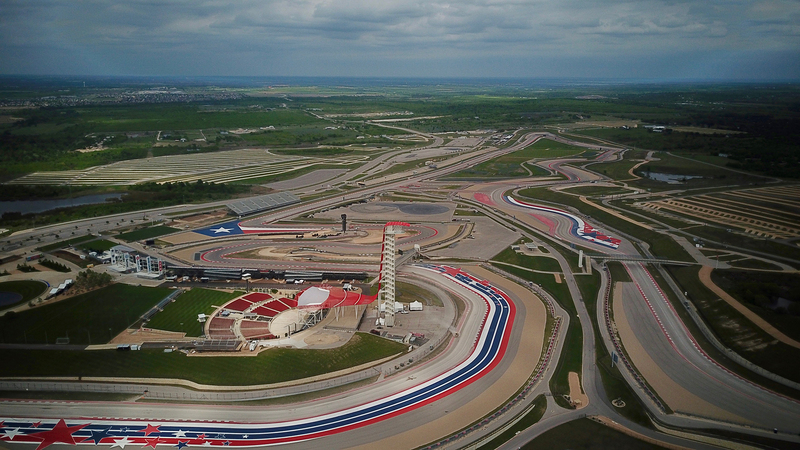 The re-sale of COTA admission tickets is strictly prohibited on the property, which includes the facility's grounds and surrounding areas. All concerts and motorsports events are rain or shine. In the case of severe weather, please check COTA's social media or the artist/series' social media for any updates. If a weather emergency occurs during an event, COTA will notify all guests and direct guests to take steps to minimize risks. Your safety is our priority. Smoking and vaping will only be allowed in authorized areas that are 15 feet from an entrance or openable window of an enclosed area. No smoking is allowed within the stands or the Austin360 Amphitheater's bowl. Small, hand-held umbrellas are allowed within our venue for both races and concerts. Please leave large, golf-size umbrellas at home. They create an obstructed view for guests seated behind them. Video cameras or any type of professional recording devices will not be permitted inside the gates at COTA during major entertainment events. Ticketing age requirements differ per event. Austin360 Amphitheater Concerts - Children over 2 years old require a ticket. If a child is 2 or under, they are able to enter for free with a ticketed adult and can sit on the adult's lap. Formula 1 - Children aged 2 and under are given a free general admission ticket when accompanied by a ticketed adult. Children 3 years of age and older will require a ticket regardless of general admission or reserved seating. Other Motorsport Events - Children 12 and under will receive free general admission when accompanied by a ticketed adult. Children 13 years of age and older will require a ticket regardless of general admission or reserved seating. **If a child requires a specific seat, the guardian must purchase a ticket. If possible, please notify the Box Office that your ticket(s) were damaged, lost, stolen or misplaced prior to your arrival. Damaged tickets must be exchanged before new tickets will be reprinted. Please visit the Grand Plaza or Main Grandstand Box Offices with your photo ID and confirmation number to retrieve your reprinted tickets. Please also note that tickets can only be printed for the original ticket purchaser, no exceptions. Please get your tickets reprinted in advance to minimize any wait for yourself or other guests on event day. For more information, please visit the Troops on Track section within the event you wish to attend on the COTA website. COTA accepts American Express®, Discover®, MasterCard®, VISA® and cash. If you are interested in becoming a Personal Seat License holder at motorsport events, or a concert season ticket holder, please contact our Sales Department at 512.655.6300 for more information. If you are interested in purchasing a VIP and/or Hospitality Package for any of our motorsport or entertainment events, please contact our Sales Department at 512.655.6300 for more information. Will call will be open at the Box Office one hour prior to the race event start time. Will call tickets can be retrieved from either the Grand Plaza Box Office or the Main Grandstand Box Office. Will call on concert nights at Austin360 Amphitheater will open one hour prior to gates opening. Only the Grand Plaza Box Office will be open on concert nights. COTA provides complimentary jump-start assistance service to guests who are experiencing automobile trouble before, during and up to one hour after any event. Please contact our Security Department at 512.655.6220 for assistance. Please visit our GEICO RV Camping page within the event you wish to attend on the COTA website for more information and pricing. Typical overnight lodging allows for arrival on the day before the event starts and departure the day after the event concludes. Austin360 Amphitheater - Overnight camping is also permitted during concerts with a purchased overnight pass. Please visit the "Premium Parking" link on the concert event page to purchase an overnight option. Please visit the Maps page for written directions. At most events, including motorsports and concerts, the designated drop-off and pick-up location is located across the street from Lot B within the Taxi Drop-Off area, marked with a banner. Drivers attempting to drop-off or pick-up in any other areas will be redirected to that location. Only Premium RV clients will have the opportunity to access golf cart rentals. Please visit our website for information regarding golf cart procedures and policies. COTA shuttle services are available for guests within the property during select events, including concerts and motorsport events. These shuttles will run from various parking lots to entrance points. If you need specific assistance, please contact our Guest Services Department at 512.655.6600. Motorsports Events - On-site parking exists in Lots A through T, and various lots will be utilized for each event. Parking can be pre-purchased on the event page, and sometimes purchased with cash on the day of the event in designated lots. Please visit the page for the event you wish to attend for parking information, including parking lot recommendations based on ticket/seat location. Austin360 Amphitheater Concerts - Standard parking (typically in Lot A, E, F or H) is included with the purchase of a concert ticket. Parking locations are always subject to change. Premium parking (Lot B, C and D) is available for purchase per show while supply lasts to park closer to the main entrance of the venue. If you travel to a concert via a charter bus or shuttle, the service must purchase a charter parking pass to park on the property. This pass can be purchased online or at the box office on the day of the event. Charter vehicles without said pass will be asked to leave the property and return at the end of the event. ADA Parking - ADA parking is available for purchase while supply lasts in Lot A, B, C, D and H. You must have a state issued sticker, placard or license plate to park in ADA parking spots. Tailgating is allowed within our parking lots during events, however, you may not take up any additional parking spaces or block any driving areas. The drop-off and pick-up area for taxis is located across the street from Lot B. Drivers attempting to drop-off or pick-up passengers in any other areas will be redirected to that location. Subject to change. Please be aware our vendors will ID for all alcoholic beverage purchases. If you plan to have a drink or two, please bring an acceptable form of Id with you. IDs accepted include: U.S. Driver's License, U.S. Territory's Driver License, U.S. State-Issued ID Card, Passport, Passport Card or U.S. Military ID. A variety of food and beverage options are available throughout Circuit of The Americas. Paired with several of our proprietary concepts, we partner with national brands as well as several local food trucks to provide a diverse selection. Our options range from traditional core concession items, to pizza, BBQ, Tex-Mex, Turkish wraps, Thai, vegan/vegetarian options and many more concepts. Our offerings vary depending on the size and demand of our events, but one thing is certain: you will always be able to locate a refreshing Coke product, a satisfying snack or entrée and an ice cold beer or cocktail. We can be reached via phone during these hours at 512.301.6600, or by email at info@circuitoftheamericas.com. Please visit our Giving Back page for all information regarding COTA donation requests. If you would like to host a private event at Circuit of The Americas, please contact Christine Carwell at 512.655.6584 or Christine.Carwell@circuitoftheamericas.com during regular business hours. For track rental inquiries, please visit our Track Rental page. Please visit our Tours page for more information regarding venue tours, including trips to the top of the tower. Circuit of The Americas is the premier motorsport and entertainment destination in the United States. 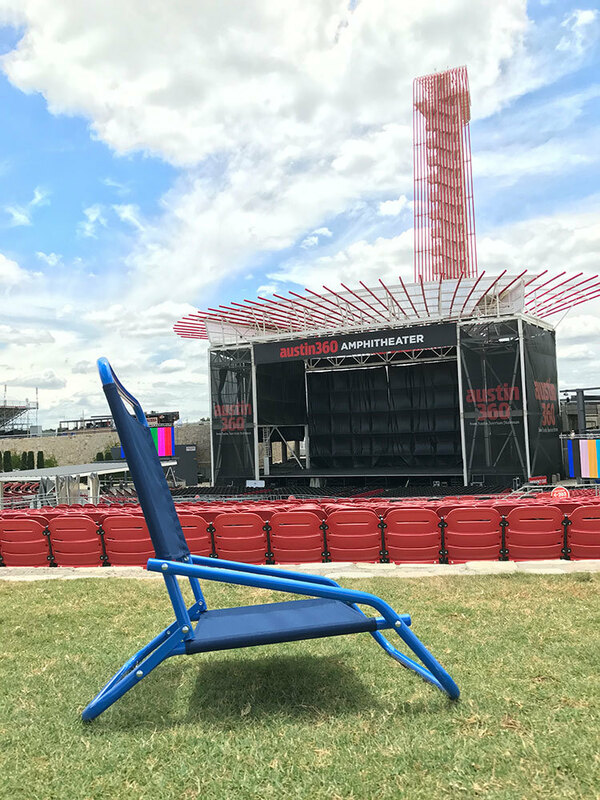 No matter the size of your organization, your brand can benefit from being part of the action at COTA and Austin360 Amphitheater through a partnership designed to fit your needs. For more information, please contact: partnerships@circuitoftheamericas.com. Please visit our Economic Impact page for further information regarding our sustainability efforts. Volunteers help make our events possible, and are considered part of our extended COTA family. Please visit our Volunteer page for all information regarding motorsport and entertainment volunteering opportunities at COTA.